Grey dial. Appliqué metal index and numerals. 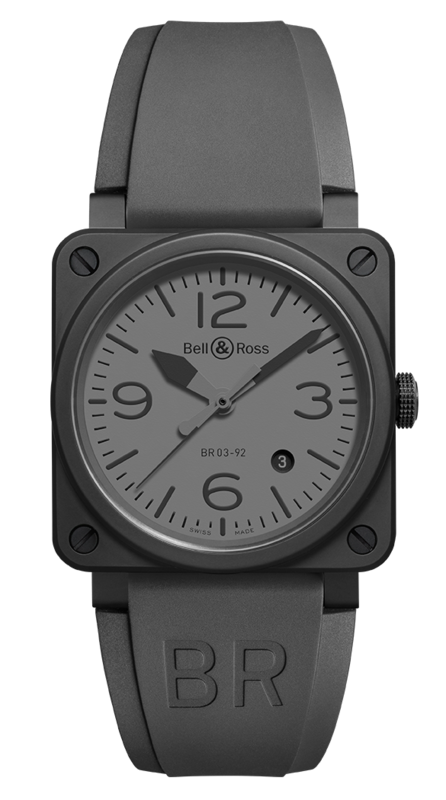 Grey rubber and black heavy-duty canvas straps.